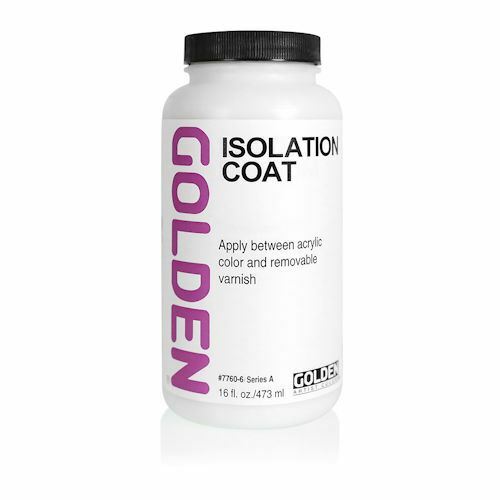 Golden Isolation Coat 16 oz./473ml. 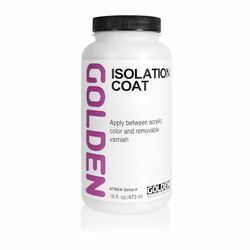 An isolation coat can be applied to acrylic paintings to unify and protect the sur face. Sealing an acrylic painting with an isolation coat prior to varnishing ensures an even application of varnish and provides a layer of protection if/when varnish is removed.